In New Orleans, we celebrate a little bit differently. 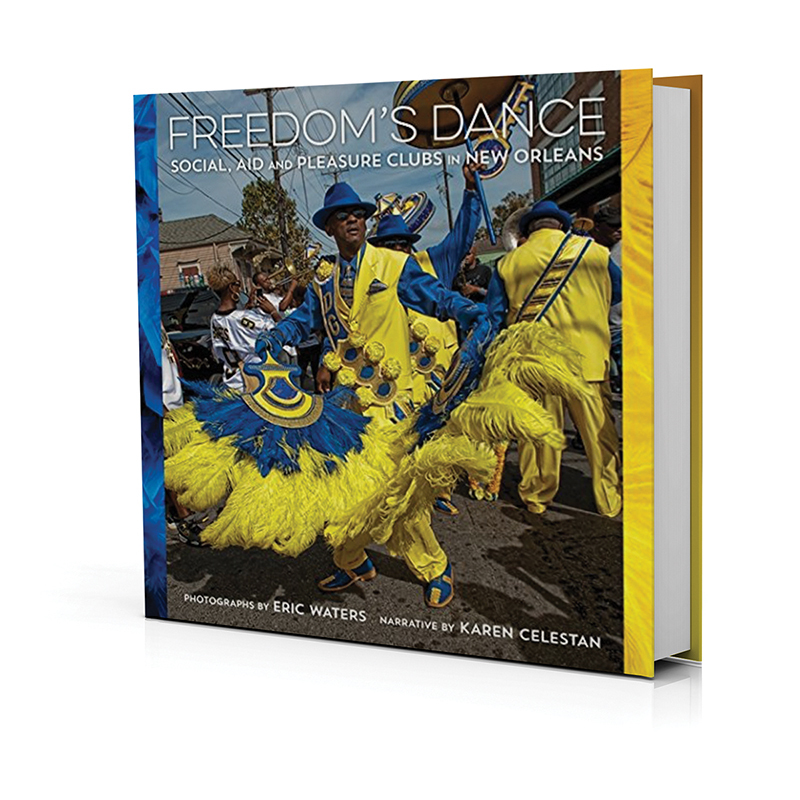 In “Freedom’s Dance,” photographer Eric Waters visually explores the dazzling array of celebrations, parades, second lines and more from the city’s social aid and pleasure clubs. From ornately decorated suits, fans and sashes to energetic displays of dance and music, Waters’ photographs act as a historic document of the city’s most precious moments. Writer Karen Celestan’s interviews some of the most preeminent leaders on the special African traditions. “Sherwood Anderson and Other Famous Creoles” was first published in 1926, and this refreshing reprint has lost none of its charm and wit. Written as a spoof of other more serous profiles of famous movers and shakers of the time, caracturist William Spratling drew some of the most colorful characters of the French Quarter during that golden age of artists. Editors Judith H. Bonner and Dr. Thomas Bonner provide history and clarity on the unique cast of characters of the times. History buffs and fans of literature will get a kick out this delightful and humorous offering.